In today’s highly competitive business environment, talent is clearly recognised as a business differentiator. Hence, it’s no surprise that 83% of talent leaders feel their mission is to create a business impact, Randstad Sourceright’s 2019 Talent Trends Report found. Randstad Sourceright’s research revealed that most participants agree and are either investing or planning to invest in a total talent acquisition model. Among those who already have one in place, 98% are extremely or very satisfied, with 48% saying the model has helped the organisation improve its employer brand. Build a clear business case that maps out the value for all stakeholders. Win buy-in early to gain maximum programme participation. Establish a baseline around key metrics to qualify gains. Measure and analyse key data points to get meaningful insights. Don’t forget that it’s a journey. So, seek ways to evolve your total talent model. Pro tip: For more talent management ideas, check out Human Resources‘ Talent Management Asia 2019 conference and hear from top HR leaders such as Elouise Chin, VP, Group Talent Management, OCBC Bank. While 76% of employers currently have a diversity & inclusion strategy in place, unconscious bias in the recruitment process and company culture is hard to combat. To help reduce unconscious bias, 45% revealed they conduct diversity training. Apart from that, 37% are using AI, big data, and machine learning with 34% using the same methods to help source and attract diverse candidates. Does the makeup of our workforce reflect the community and market our business serves? Can we identify parts of our recruitment process that may introduce unconscious bias to decision-making? Are we measuring metrics that affect the attraction and hiring of diverse talent? As mentioned above, 83% of talent leaders aim to create a measurable impact on the business through their talent strategy. But talent hasn’t always been viewed as critical to business execution. In fact, in 2016, only 57% viewed talent as critical to business execution. Use a dedicated resource to compile available market data. Outline the markets where you’ll need talent. Consider a variety of work arrangements when defining the availability of skills. Understand your internal metrics and compare with market benchmark data. Seek out the advice of partners that have the specific market intelligence you need. This year, 81% of participants believe technology made recruiting simpler and more efficient, a significant jump from the 68% who shared the view in 2016, 2017, and 2018. At the same time, 92% now believe adopting technology enhances attraction, engagement, and retention of talent, compared to 79% in 2016. “Trying to hire your way out of talent scarcity with additional recruiters has limited value. To make a truly transformational impact on talent acquisition, you need to invest in the tools that most effectively empower your people and processes,” advised Jason Roberts, Global Head of Talent Analytics and Technology, Talent Innovation Center, Randstad Sourceright. Speaking of talent acquisition, do you have an innovative recruitment campaign like Scoot’s ‘Epic Interview’? Want to celebrate the wealth of talent and expertise in your HR team, and boost your team’s morale and engagement? Human Resources‘ Asia Recruitment Awards 2019 is now open for entry. Analytics dashboards and AI-enabled tools have been making their way into many HR functions over the last few years. 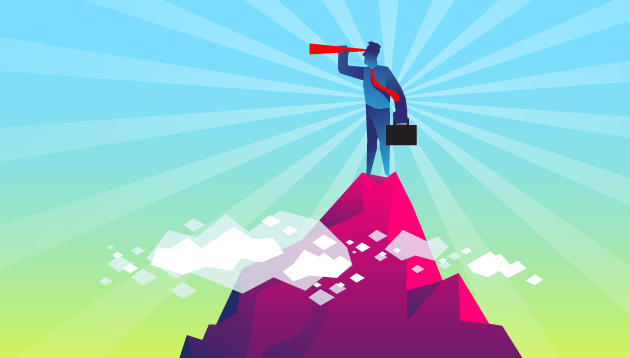 Randstad Sourceright’s 2019 Talent Trends Report reveals 72% are investing in people analytics to enhance talent attraction and engagement. This surpasses investments in training and development platforms (63%), workforce management tools (62%) and applicant tracking systems (57%). It is also worth noting that 83% felt the ability to analyse internal and external employee data plays a critical role in sourcing, attracting, engaging, and retaining talent. A growing majority of talent leaders also said tech helps them make smarter hiring decisions, while 71% believe these tools reduce risks – compared to 67% and 59% respectively in 2016. Additionally, the report highlighted five ways HR leaders can achieve greater clarity with talent data. Identify blind spots in your reporting processes and make plans to upgrade your systems as needed. Build a talent acquisition team of the future by delivering analytics that will help accelerate their capabilities. Use internal and external data to benchmark your performance against competitors and between your business units. Look for support from your talent solution providers, software vendors and talent suppliers to better utilise technology. Assess your own current and future needs and make a plan to develop the analytical expertise you need to be effective. In industries such as construction and manufacturing, although technology is accelerating talent acquisition outcomes, employers are increasingly turning to automation as a way to fill vacant jobs. But, this trend persists beyond the two industries above. The report highlighted that 83% of talent and C-suite executives believe robotics will have as much if not more influence on their business over the next year, and 87% believe HR automation will have a similar impact. Among the job families most likely to be affected by this trend are IT and technical positions (35%), marketing (33%) and sales (31%). Adopt a long-term view when determining whether automation can help fill job vacancies. Account for all ancillary costs associated with technology implementation. Make sure the robotics you want to implement don’t end up creating burdens elsewhere in the organisation (e.g. IT or legal). Assure workers their roles aren’t being replaced, but rather enhanced through your investments. Don’t forget that these may have an impact on your customers so be sure to anticipate their reaction. Consuming vitamins is necessary for health — but what happens if you take more vitamin supplements than your body needs? Adam Gran.. The Office Snitch: Has Mayer lost her marbles? Marissa Mayer’s appointment as Yahoo’s latest CEO has fascinated me from the get go. ..